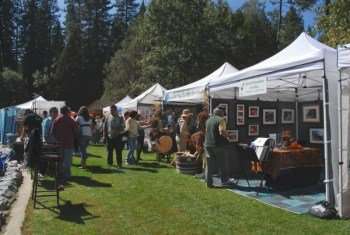 Come to Twain Harte this weekend and take part in the 33rd Annual Summer Arts and Wine Festival. 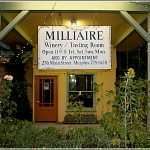 As one of the most popular events in Twain Harte, the Arts and Wine Festival is sure to have something to please you. 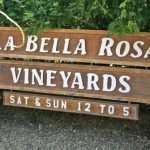 Most people probably don’t know how many wineries are in the Sierra Nevada foothills, but you can try wine from 10 wineries in the area. While you enjoy your glass of wine there is live music and over 100 booths of arts and crafts and sculptures from all over the region. Vintage cars will also be featured. The 33rd Annual Summer Arts and Wine Festival will be taking over the main roadway so plan accordingly. The Festival is taking place on July 24 and 25, 2010. On Saturday it is open from 10am-6pm and Sunday from 10am to 5pm. The 33rd Annual Summer Arts and Wine Festival event is co-sponsored by the Twain Harte Area Chamber of Commerce and Fire on the Mountain Productions. For more information, please visit twainhartecc.com or fireonthemountain.com.